Handlebars are often the most overlooked part of the mountain bike. Many riders will assume that the handlebars originally fitted on the bike are good enough and do not put any more thought into it. Either that or they will spend very little on handlebars so they can put their money into other parts for their mountain bike. Furthermore, the handlebars give you the most control of your bike through steering as well as your aerodynamics and your riding position being affected. Consequently, it is worth giving the extra attention to the different handlebars available. No matter the design of the handlebars, geometry and dimensions have a major role in determining how your bike will handle and how well the handlebars will fit you. Despite having a large market to choose from, buying handlebars is a pretty straight forward process. The first thing to remember when searching for handlebars is comfort. If you are finding that your wrists or hands are going numb after long periods of riding, it is time to find out why. Make sure that your arms are not spread too wide across the cockpit. Your arms should be shoulder width apart so you do not exhaust and stress your upper body. In addition, leaning too far forward over the handlebars is not only a bit dangerous, but very uncomfortable on longer rides. More weight and pressure is placed on your hands the further you are bent over your handlebars. Under those circumstances, you should first try to adjust your handlebars and saddle to see if that will make the ride more comfortable. After making adjustments and you still notice a problem, it is time for you to invest in new handlebars. In order to begin your search for new handlebars, there are several factors that can influence your decision. LEVERAGE: The handlebars are your leverage when you are steering your bike. The wider the handlebars, the more leverage you should have. While this seems to make logical sense, the wider you make your arms, you actually begin to lose leverage on your handlebars. As stated above, your handlebars should be no wider than shoulder’s width to ensure you maintain the stability as you steer. It is acceptable to be a few inches wider or narrower, yet any more than that will begin to be detrimental to your leverage. LIFT: Lifting your bike over obstacles on the trail is a milestone for excellent handling. 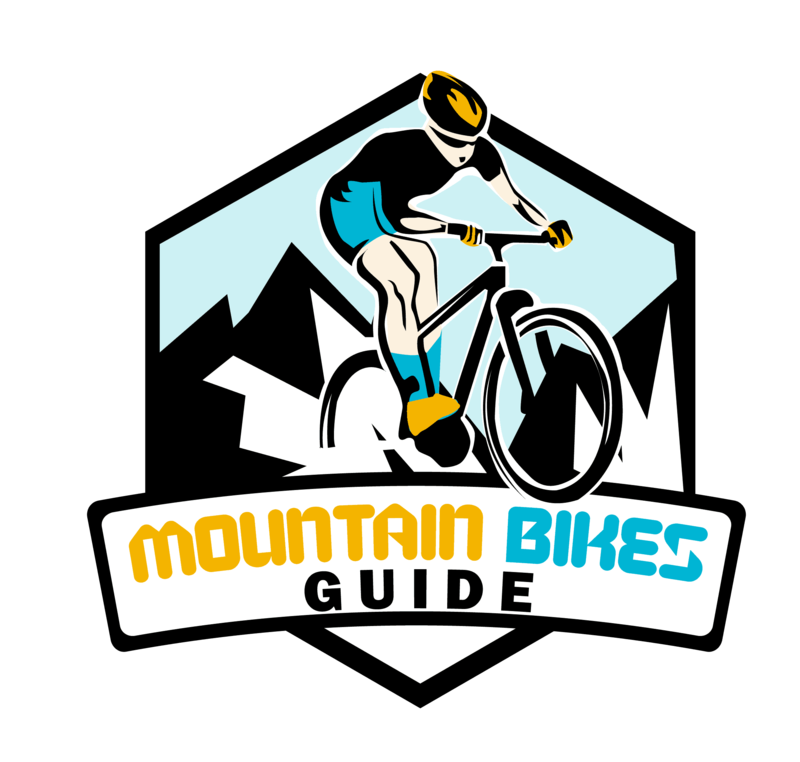 Mountain bikes will place the rider’s weight further back in order to give them lift. Handlebars can be fitted with a riser bar which places the weight even further towards the back of the bike. This is important for those steep descents. WIDTH: It is important to choose handlebars that match closely to your shoulder width. Purchasing handlebars that are aluminum or chromoly flat bars will allow you to trim the ends to make them narrower to suit your body. Carbon fiber or drop flat bars do not allow you to make manual adjustments. MATERIALS: The most common material used is aluminum. Higher end handle bars are made from carbon fiber, or even steel when strength is of upmost importance. Deciding which material is better is based upon the manufacturer’s design of the individual handlebars as well as personal preference. RISE AND SWEEP: Up sweep, or rise and back sweep refer to the shape of the handlebars. The shape of the handlebars is just as important as the width as not every rider’s wrists, arms, or comfort zones are the same. Handlebars with a proper up sweep/rise and back sweep will allow you to ride in comfort as long as it is adjusted to you. CLAMP SIZE: Handlebars for mountain bikes come in two different thicknesses in the center to fit the clamp sizes, traditional-25.4mm and oversized-31.8mm. Oversized will be heavier than traditional however, they are stiffer and stronger. BAR ENDS: Bar ends are not always popular amongst riders due to esthetics, yet they can provide you with an easy change in position and a more comfortable ride. Bar ends allow riders to have more hand positions and are also good for providing leverage on ascents with poor traction. STRENGTH: Handlebars are mostly made from aluminum or steel and can be accompanied by flares, tapers, and butting to increase strength and save weight. Flared handlebars have a wider diameter in the middle compared to the ends. The width does not change yet the flare will make the handlebar stronger, and a bit heavier. Tapered handlebars will be thinner as the bar moves from the stem to the ends. This allows manufacturers to remove as much weight as possible. Butted handlebars provide more strength and are still light weight. Butting begins in the middle of the handlebar where the stem holds it and at the second riser bends. Downhill riders should look for a handlebar that is butted due to its durability. MARKINGS: The best handlebars will have two designated markings on them. The first set of markings is located on the center of the handlebar so you can position the bar in the stem clamp. These markings will allow you to consistently and accurately adjust the handlebars as you see fit. The second set of markings is located towards the end of the handlebar. This will allow riders to manually trim down the ends evenly and accurately. Cross Country: Handlebars that have a bit more weight will increase your endurance comfort as well as rapid descending handling associated with wider handlebars. Carbon low rise or flat bars starting at 720mm to 740mm are popular choices for cross-country riding. Trail Riders: The most comfortable for trail riding is a wide, mid-rise bar. Carbon is best although aluminum is also a good choice. Start with 780mm wide, 25mm rise and adjust as needed. Downhill: The 35mm standard is a handlebar that is extremely stiff and very light weight. Perfect for speed and durability. On the whole, handlebars should be chosen based on comfort, riding style, and specifications that are suited to your personal needs. Remembering this important piece of equipment will not only benefit your bike, it will also benefit your ride.